BioTrust IC5 is a diet pill produced in the USA by BioTrust. Apparently the company was formed when a couple of “fed up nutritionists” noticed the supplement industry was “spinning out of control” and decided to create their own formulation. Naturally they think it’s one of the best on the market, and make some pretty big claims for it, but their money back guarantee is good for a year, so they get top marks for confidence. BioTrust was founded by Josh Bezoni, and Joel Marion. Josh has a wealth of health and fitness experience and has made numerous appearances on American TV shows while promoting his “Belly-Fat-Free” weight loss tips. Joel has equally impressive credentials and is a former winner of the Body-for-Life Transformation challenge, but although the two men are inarguably knowledgeable about healthy living, their product sales pitch may be too complicated for many consumers to understand and they could be accused of trying to blind people with science. No changes to diet or routine are mentioned, and Josh and Joel fail to elaborate on what form of carbs they are referring to (complex or simple), but the underlying message seems to be the capsules do all the work. This would make them a magic pill, and products that are marketed on promises such as this usually fail to do the trick. The recommended dose is two capsules, taken before any meal that contains carbohydrate. Then it is just a case of allowing “the science to do the rest”. The fact that some of the ingredients have shown promising results as diabetes treatments, does not guarantee weight loss benefits, so it would have been nice if Josh and Joel had provided more information about exactly why they believe this is possible (in a way that the average dieter could understand). The product has been featured in Oxygen and Men’s Fitness magazine, but customer feedback is hard to find due to the in-house sales system and the fact that the supplement is relatively new to the market. No side effects are stated, but berberine may produce gastro-intestinal side effects in some people. Apart from that, side effects should not be an issue, but pregnant and nursing mothers are advised to seek medical advice before using BioTrust IC5 or embarking on any form of weight loss regimen. The same advice is offered to anyone who has known health issues. 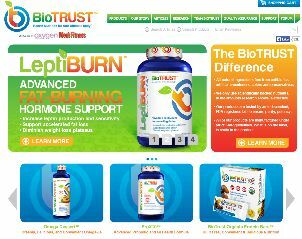 Josh Bezoni and Joel Marion have impressive credentials and BioTrust appears to a respectable company, but their product has not been independently tested and may not be able to provide the promised weight loss results. The lack of independent feedback makes it impossible to see how if it has provided customer satisfaction, so despite the impressive claims and lengthy money back guarantee, BioTrust IC5 cannot be recommended at this time. It’s a buyer’s market, many more cost effective weight loss products are available, some of which have been tested and proven both under the microscope and in the home. Can be ordered and purchased directly from the manufacturers website, this is the only option for UK based customers as Boots, Holland and Barrett and Superdrug do not stock. The preference is for Garcinia Cambogia – a completely natural fat burner that can also prevent the formation of some newer fat cells. 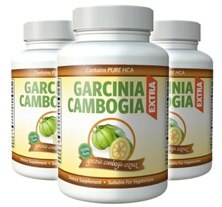 Garcinia Extra is a premier brand that contains raspberry ketone additionally – together these two natural ingredients are highly effective and thoroughly recommended.